Proponents of bail reform often argue with the same talking points to bolster their claim that monetary bail is unfair…but do they get it right? Are people really “stuck in jail” solely because they cannot afford a $200 bail? Is the commercial bail industry really an unregulated business? 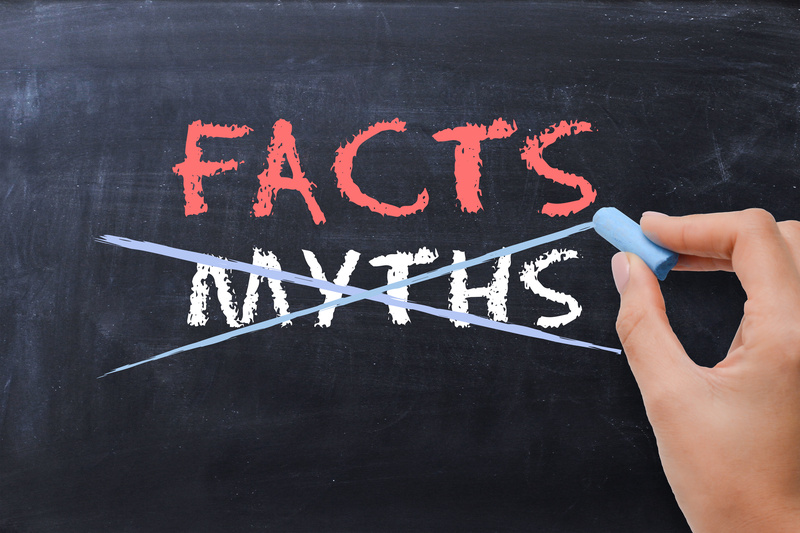 Let’s review the facts…and myths. Poor people are languishing in jail for the sole reason that they can not afford a bail bond. This single phrase has become the mantra of the Bail Reform movement relying on empathy for the defendant as punctuation to further the cause to end the judicial discretion of using financial conditions as a form of pretrial release. First, not a single person is sitting in jail because of the size of their wallet. The reason why any person is in jail is because they were accused of a crime based on probable cause determined by a law enforcement officer. For example, in the 2013 JFA Institute study looking on the Los Angeles County Jail population, it was determined while 70% of the defendants were in pretrial status, only 12% were actually bailable. That is a far cry from the claims being made by bail reform proponents that 70% of people sitting in jail are there because they can’t afford a bail bond. Defendant has already been released and failed to appear with a bondsman. In this case, the Indemnitor may be unwilling to post another bond out of fear that the defendant may again fail to appear. Defendant may have a substance abuse problem that the Indemnitor fears, if released, would cause harm to the defendant or another person. “Tough Love” – the family and friends of a defendant know them best…not the court system. In many cases, the decision to keep someone in jail due to issues spiraling out of control for the defendant is a reality. These decisions often coincide with having the time to arrange for the necessary help a defendant really needs – such as enrolling in a drug treatment facility. Jails are filled with low level, first time, non-violent offenders who are not a flight risk and who pose no significant risk to the community. Over the past several years, many jurisdictions around the country have adopted “soft on crime” policies that have decriminalized many non-violent misdemeanor crimes. These changes to the laws have impacted the make-up of jail populations everywhere. No longer are low level misdemeanor first time offenders being arrested and placed in jail. Instead, many of these low level, non-violent misdemeanors are simply cited and released. In California, the Los Angeles County Jail conducts a jail population review every year. The most recent review (2016) showed that 90% of the pretrial population was being held on felony charges. Less than 2% of the population were there on low level, first time, non-violent charges. It is also important to keep in mind that judges have always had discretionary power to release a defendant on their own recognizance. More often than not, that’s exactly what they do. However, judges consider many factors in the decision process of requiring bail, and are sworn to be just and fair. Removing judicial discretion and not allowing judges to be judges pose a serious threat to the communities to which they serve. The Bail Industry is a completely unregulated business that takes advantage of consumers. False. The bail industry is a highly regulated business. Insurance companies must be properly established in each state with sound financials and experience. Additionally, agents must be licensed to operate as a bail bond agent. This means that agents must meet rigorous educational and financial requirements in order to maintain their ability to operate as a bail bond agent. In most states, the industry is regulated by the Department of Insurance, who reviews everything from financial standing to forms and contracts. These regulators are keenly focused on protecting consumers. If a consumer is misled or taken advantage of they can easily report the alleged abuse to the department – just like any alleged complaint to an insurance product. If an agent fails to meet the specific requirements of the state they operate in, they can face fines, lose their license and in some states face criminal charges. The Bail Industry targets poor communities and promotes racism. Much attention has been given to the role of bail in poor communities and amongst defendants of color. Bail reform advocates often point to bail agencies as negatively impacting the poor and perpetuating racism within the system. The bail industry exists for the very reason that there are people who cannot afford to pay the full amount of the bond. If everyone could afford bail, there wouldn’t be a bail industry. When a family can’t afford to pay the full amount of the bond, they can go to a bail agent and pay a small non-refundable fee (typically anywhere from 7-10% of the bond) and have their family member released. The bail agent guarantees the full amount of the bond to the court and is fully responsible should the defendant fail to appear. In terms of the bail industry promoting racial disparity in the criminal justice system, an article in the NY Times written by Adam Liptak came to a much different conclusion. Liptak concluded that bail bond agents actually reduce the impact of racial bias in the criminal justice system. According to Liptak, if a judge sets a higher bond amount on a person of color, the bail agent eliminates that racial bias by providing steeper discounts to these individuals. Bail agents have strong ties to the communities they serve and often are involved in temporary housing placement, drug treatment facility placement, help with obtaining legal counsel, and a variety of other services at no charge to the family. By being a part of the criminal justice process, agents help guide families through difficult and often unfamiliar territory. While proponents of bail reform would like this myth to be reality, it couldn’t be further from the truth. Every legitimate third-party peer reviewed study ever done shows that the use of financially secured release (bail) is the most effective way to ensure appearance of a defendant in court. What happens when a defendant fails to appear in court?